Just as in Kyrgyzstan’s revolution, in Iran, mostly young people, tired of decades of authoritarian rule, took to the streets en masse to overturn a fraudulent election that had ratified the rule of a dictator. In Kyrgyzstan, the protests were so loud, the people so united, that old Soviet boss Askar Akayev saw his power base erode to the point that continuing in office was too risky and untenable; protesters seized the presidential offices, and he ended up escaping to Russia. In Iran, this didn’t happen; the regime didn’t budge. Why? Because the entrenched support base loyal to the regime, especially the Sepah (Revolutionary Guards) and the Basij, wouldn’t allow it. Who are the Basijis? The best way for an American to understand them is as a combination of the Boy Scouts, the revolutionary Minutemen, the Taliban and the legend of the Persian Hashshashins (Assassins) who would take themselves out with their foes. 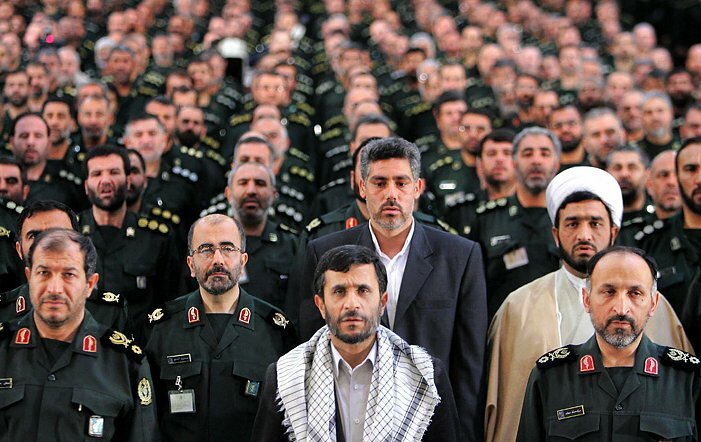 The Basijis are a volunteer militia operated as an auxiliary of the Sepah, and take orders directly from Sepah commanders and the Supreme Leader, not the president. The Basijis are mostly religious youth, and they are charged with protecting the regime, along with Shia Islam and its people’s “virtues.” To show their Islamic virtue they may work in mosques, help elderly people cross the street, give gasoline to people stranded in their cars on the side of the road, or, on the other side of the coin, intimidate and assault Iranians dressed in “immoral” attire, and haul suspected dissidents into the nearest police station. The Basij responds to threats to the regime within and without; they played a key role in the Iran-Iraq war, with mass “human wave” martyr attacks by teenage Basijis to clear minefields and terrify Saddam’s troops, and they have often crushed Iranians citizens’ demonstrations, most notably during the uprising that followed the June 12 rigged election of this year, and the student protests of July ’99. 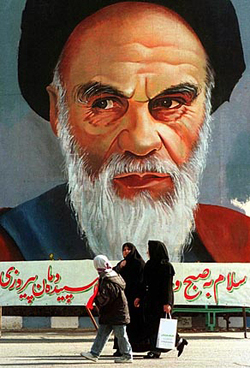 The founder of the Islamic Revolution, Ayatollah Khomeini founded the Basij (pronounced BAH-siege) when he became leader of the new Islamic Republic of Iran in 1979. It was a shrewd move. 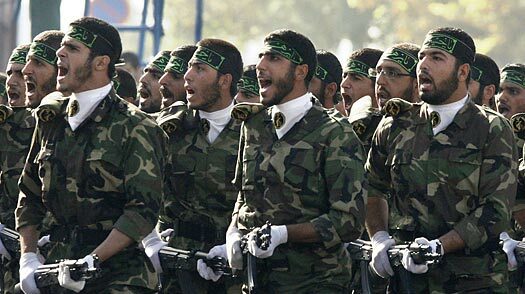 Khomeini knew that he would always have a lot of enthusiastic extreme-fundamentalist young men on his hands, and it’s smarter to protect your Right flank, honor them and harness their energy to protect the regime, than it is to let them fester ignored until they become something that could overthrow him. In Persian, the Basij (literally, “Mobilization”) are also called Basij-e Mostaz’afin, “Mobilization of the Oppressed,” and there is a clear “class warfare” element to them. The Basijis are mostly poor, young, and fundamentalist, and they are often pitted against the mostly secular, modernizing upper class. President Ahmadinejad was a Basij, with the Basij culture and chip on the shoulder, and he framed the rich elite as decadent, corrupt, and “oppressing” the hard-working, pious, rural poor. For Iran’s rulers, this has them sitting pretty: in addition to having the judiciary, military and local officials firmly behind them, they can rally a religious proletariat to the defense of Islamic government whenever needed, with angry young Basijis as the head of the spear. Despite dissent from other Ayatollahs (Grand Ayatollah Montazeri, Ayatollah Mohajerani, Ayatollah Rafsanjani), the government’s lessened legitimacy and growing feeling in Iran’s cities that the current regime’s enforcers (Sepah, Basij, local police) are no better than the Shah’s brutal secret police (the SAVAK) that they united against in 1979, this regime is deeply entrenched, and the Persian people* will likely be watched over by Ayatollah Khomeini’s evil glare everywhere for years to come. Contrasting brave Iranians willing to protest despite very real risk to life and limb with couch potato Americans doing little for their freedom, I feel like I’m in a nation of proles. Like Iranians, we Americans used to be a proud and revolutionary people. I hope that isn’t completely dead. *For the uninitiated, Iranians are sometimes still referred to as “Persians,” and their country was called “Persia” by outsiders from the 5th century BC up until 1935, when Reza Shah Pahlavi issued a decree requesting everyone use Iran, meaning “the land of Aryans,” which Iranians had been calling their country since about 1000 BC. For more information, see Iran Naming Convention. Iranians are an Aryan/Indo-European people, and in physical appearance, look little different from the related Caucasians in the nearby Caucasus region. They are white people. Too many Americans lump Iraq and Iran together and say “bomb all them A-rabs,” which couldn’t be more wrong. Iranians are not Arabs, have a proud history and culture totally distinct from Arabs, speak a language (with grammar similar to many contemporary European languages) unintelligible to those who only understand Arabic, and Iranians’ bitter rivalry and wars with the proto-Arab and Arab peoples of the Fertile Crescent span back to the first written records of the region recorded by Sumerians. Saddam Hussein was infamous for his hate of Persians.